With its classical silhouette and stylish edging, this semi-flush design has all the hallmarks of lighting belonging to bygone eras. 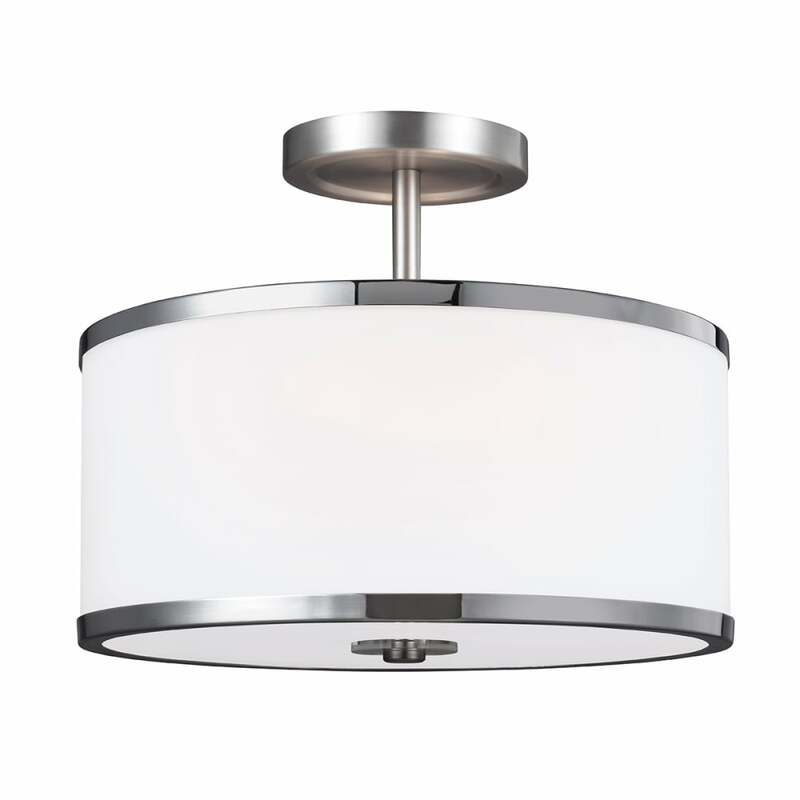 Yet a swish two-tone finish of Chrome and Satin Nickel, bright shades of Opal Etched glass and a sweepingly modern execution make this design perfect for contemporary homes. Matching items available in the collection. - Supplied with 1 x 152mm and 3 x 305mm rods.